For more information, see Microservices. 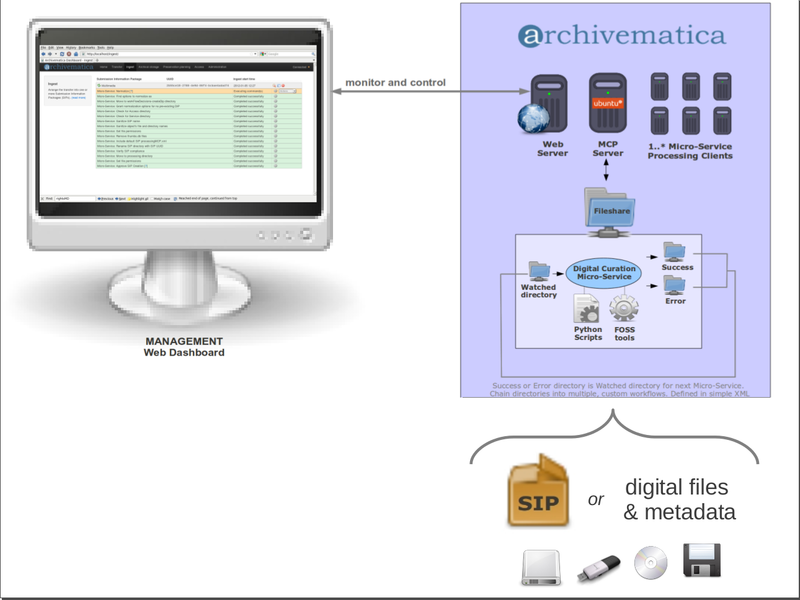 The web dashboard allow users to process, monitor and control the Archivematica workflow processes. It is developed using Python-based Django MVC framework. The Dashboard provides a multi-user interface that will report on the status of system events and make it simpler to control and trigger specific microservices. This interface allows users to easily add or edit metadata, coordinate AIP and DIP storage and provide preservation planning information. Notifications include error reports, monitoring of MCP tasks and manual approvals in the workflow. For more information, see Preservation Planning.